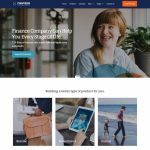 Are you looking for digital marketing website template? A hike is a professional and bold design which built on the Bootstrap 4 framework that means its support google’s mobile-first indexing. 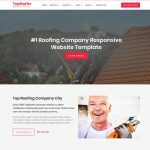 Create your SEO service and SEO company website with this responsive web design template. Get download and start your website. 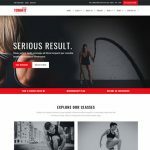 The digital marketing website design template is clean and bold design give the stunning look of your SEO marketing business website. It is simple and easily editable and customizable layout design. 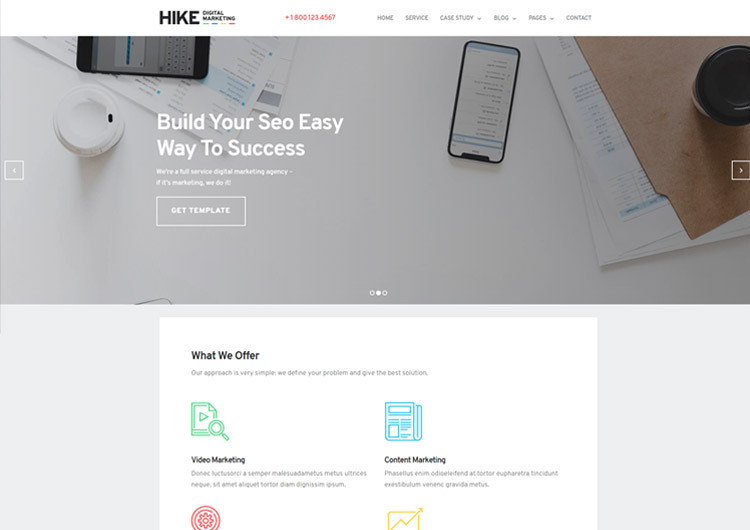 The hike is best suited for web design agency, SEO Service, SEO company, digital marketing service, digital marketing agency, SEO web design company. You can showcase your digital marketing services list like video marketing, content marketing, pay-per-click marketing(PPC), cost per click (CPC), social marketing, search engine optimization, etc..
It’s responsive template which means it supports all the major device like iPhone, iPad, Android, Desktop, and Tablets. In this digital marketing design template, you get the creative header, slider, service list, case study, blog, contact us, call to action, locations, brand logo, and shortcode pages. Images: Live demo images are just for look purpose, not including in main zip files.